At a forum in Upper Gwinn Commons, Khawla Hadi (left) and Marwa Al-Mtowaq (right) tell stories of crossing Iraq into refugee camps in Saudi Arabia and Jordan. The event emerged from a workshop designed by Professor of English Kimberly Segall (center). Kimberly Segall sits in her living room still fighting jet lag. She has just returned from a research sabbatical in Iraq with her husband and their 9-year-old daughter. The trip capped two decades of research into the Middle East, South Africa, and developing countries that culminated in the publication of her first book: Performing Democracy in Iraq and South Africa: Gender, Media, and Resistance (Syracuse University Press, 2013). 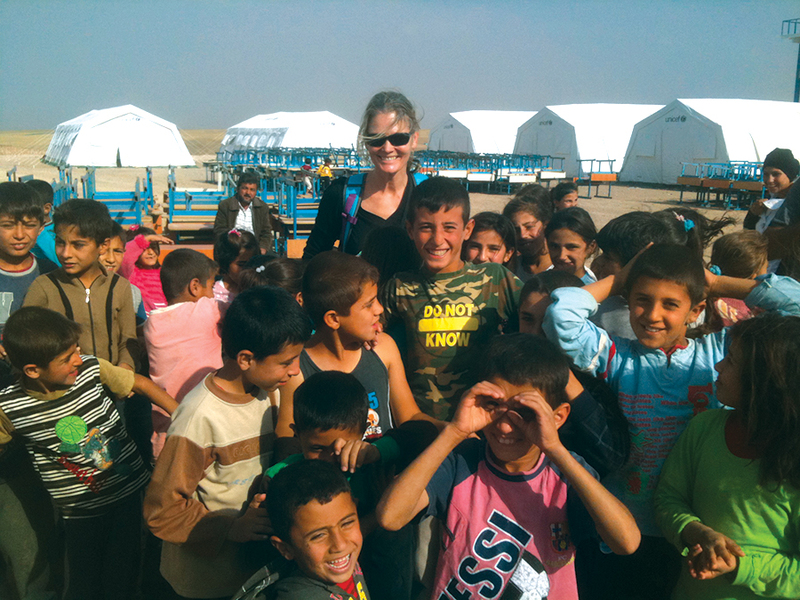 Two years after the end of the first Gulf War, Segall and her husband first arrived in Shaqlawa, a city in Iraqi Kurdistan, to open a school. Both had spent time in the Middle East and North Africa and were looking for a chance to participate in rebuilding Iraq following the war. By 1993 the people in Shaqlawa had known decades of suffering, most recently during the Iran-Iraq War, when the Iraqi government waged what has become known as the Kurdish Genocide, claiming the lives of as many as 100,000 civilians. The people Segall met through her school began telling her their stories of war, death, torture and, ultimately, healing. Segall began recording the Kurds’ stories on a computer between power outages. As she did so, she began noticing how people used cultural forms, such as art, music, and poetry, to voice their stories. Performing Democracy argues that these forms can provide “a potential space of healing and creativity” in the midst of trauma and upheaval. As an SPU student, Lauren Pattie ’09 participated in Iraqi Voices, a bilingual project through which Iraqi refugees told students about their experiences using art and poetry. “One of the cool things about the project was watching these women as they told their stories — you could see what an emotional experience it was to be able to open up about their past — to have that catharsis,” Pattie says. 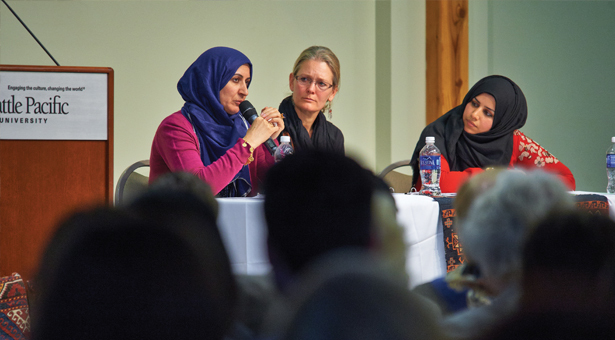 Segall, along with Al-Mtowaq and Khawla Hadi — another woman who features prominently in Performing Democracy — discussed the book and her trip to Iraq at SPU on May 19. In Iraq, she spoke about her book at two universities, and she also designed a reconciliation workshop for students who have fled Baghdad, Mosul, Kirkuk, and Syria to live in Kurdistan, northern Iraq. Asking students to write the story of their journey and to interview their parents, Segall facilitated conversations across national and sectarian divides. And so the performing of stories through poetry, songs, and even blogs, remains critical.